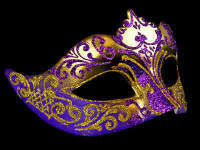 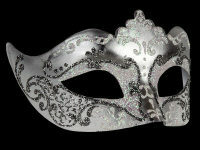 Offering pure luxury and romance, this Stella Masquerade Mask - Silver Purple makes the perfect party accessory. 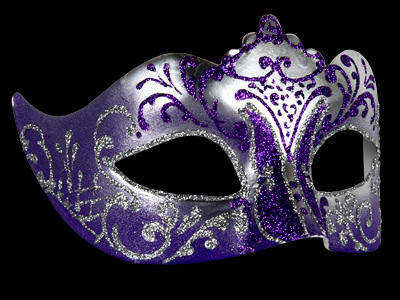 Designed in a beautiful on-trend silver & purple , this fabulous mask is beautifully enhanced with hand decorated purple & silver glitter swirls for maximum wow-factor. 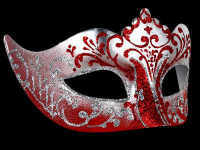 Make a total statement of love with this truly stunning party mask by Simply Masquerade, guaranteed to make you have the x-factor. 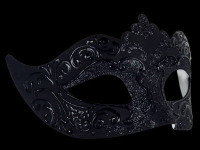 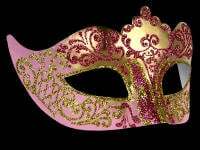 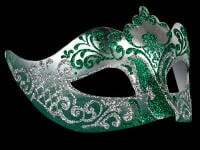 With traditional black satin ties for a secure fitment the mask is perfect for your next Masquerade party, Mardi Gras Event or Venetian masked ball. 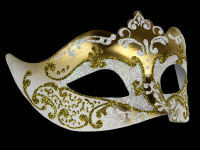 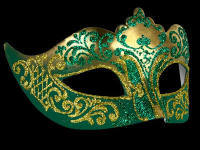 All masks are hand made and painted in Venice. 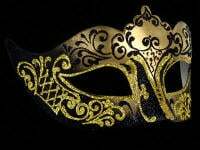 No two masks are ever identical. 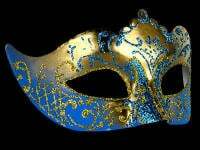 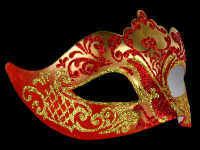 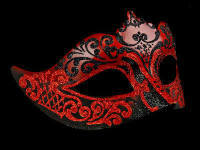 Colours and styles may vary slightly on each mask. 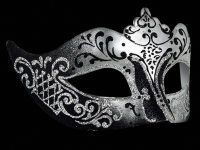 Free postage within the UK is included of course.